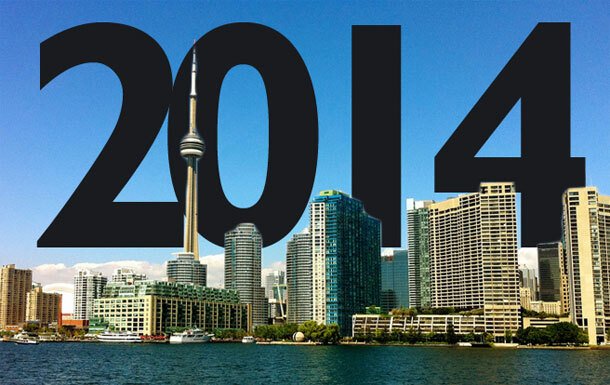 As the year closes out, we’re going to start seeing more and more articles predicting what’s going to happen in 2014. Depending on whom you believe, the real estate bubble is going to burst or the market is going to continue to chug along, showing moderate price increases. Of course, not only is Toronto a market on its own separate from the rest of Canada, the city is home to two separate markets: condos and housing. Will the price of a condo in the city drop? With Toronto’s population predicted to grow and few if any rental towers being built, investors who can rent their condos out for a premium will be unlikely to sell any time soon. As for houses in Toronto, with such a limited number of homes in the city and even scarcer listings, prices will continue to climb. The fact that prices continue to rise shows a high level of confidence in Toronto (despite our leadership) and is a good indicator that real estate will continue to retail its value.